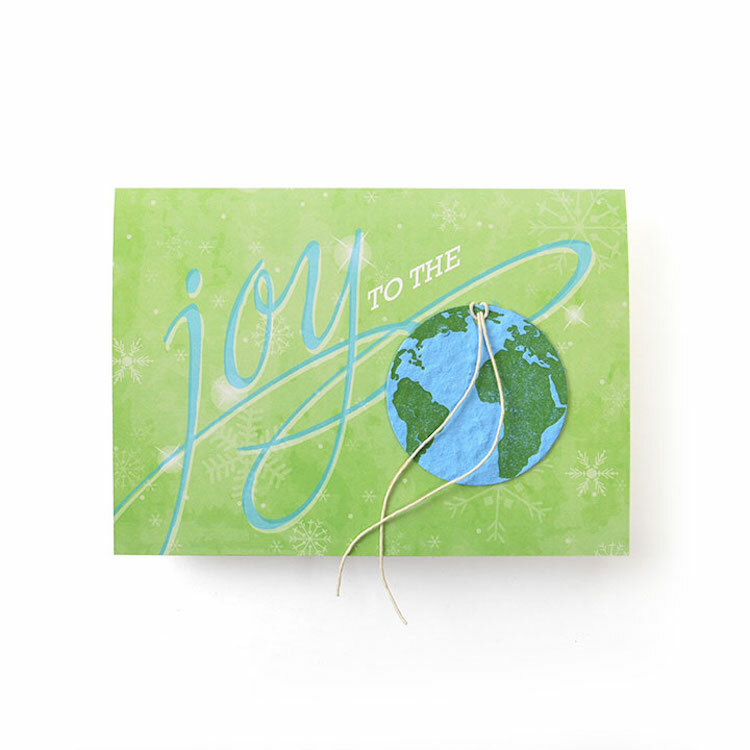 Elegant and eco-friendly, this best-selling item features a 100%-recycled content card with a seed paper shape, attached with either a ribbon or adhesive. Choose from over 100 seed paper shapes in 20 colors and print your custom design on the card in full-color or choose from one of our holiday stock designs. Our handmade seed paper is made from 100%-recycled materials and is embedded with a hardy mixture of wildflower seeds. Blank envelope included.